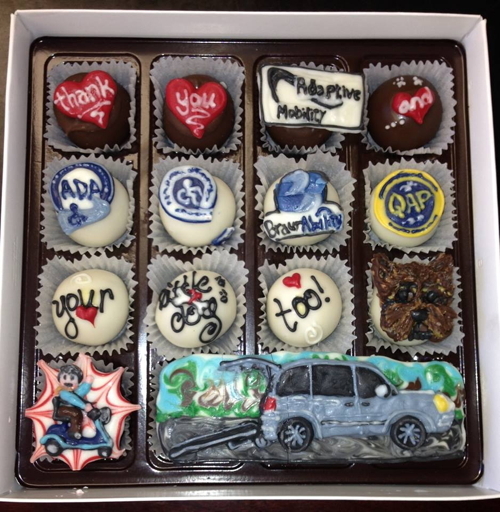 We are feeling in the Holiday Spirit here at Adaptive Mobility Wheelchair Vans. 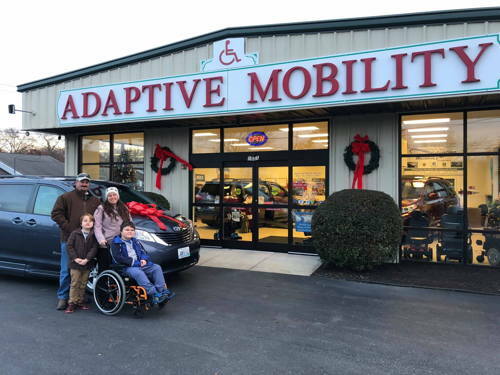 Cameron and his family have a new ride for Christmas! What a wonderful family. Good luck with your new Toyota Sienna BraunAbility van. Congratulations to Our Customers from Everett! 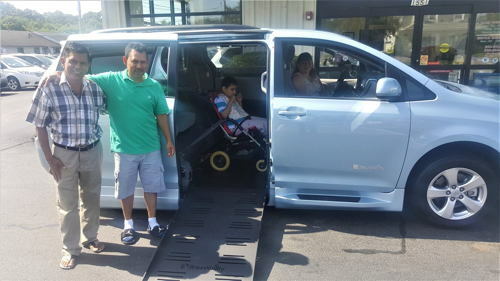 The Hernandez Family of Everett, MA picking up their new BraunAbility Sky-Blue 2017 Toyota Sienna LE Wheelchair Van just in time to show it off at their annual family reunion BBQ. Glad we could send you off in style! Enjoy your new ride. Beautiful smiles on a wonderful day. 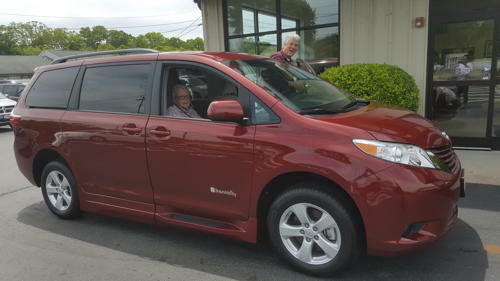 Donna and Joseph enjoying their new BraunAbility van! 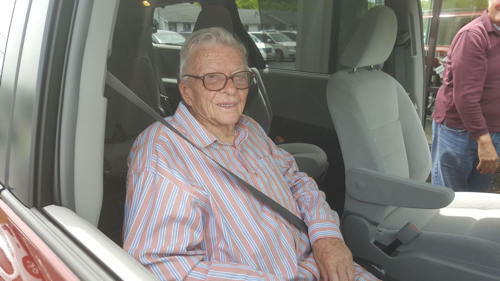 Meet Roland from Middletown, RI with his first BraunAbility wheelchair van. His infectious smile and passionate personality always draws a crowd, especially when he goes sailing on the weekends in Newport. Keep at it Ron! See you on the ocean soon! Congratulations to Our Cape Cod Customers! Congratulations to Dave and Marie from Cape Cod! 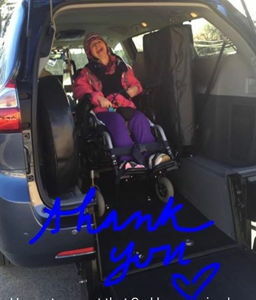 We hope you enjoy your new BraunAbility Wheelchair Van as well as your new Sunrise Medical Quickie QM710 Powerchair! 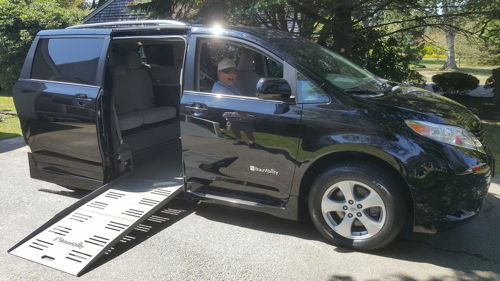 When you are a dealer for the #1 Wheelchair Van Conversion Manufacturer in the world, BraunAbility, AND have the best customer service in New England, customers will drive from all over New England to do business. Especially if you are a Family Owned and Operated Company. 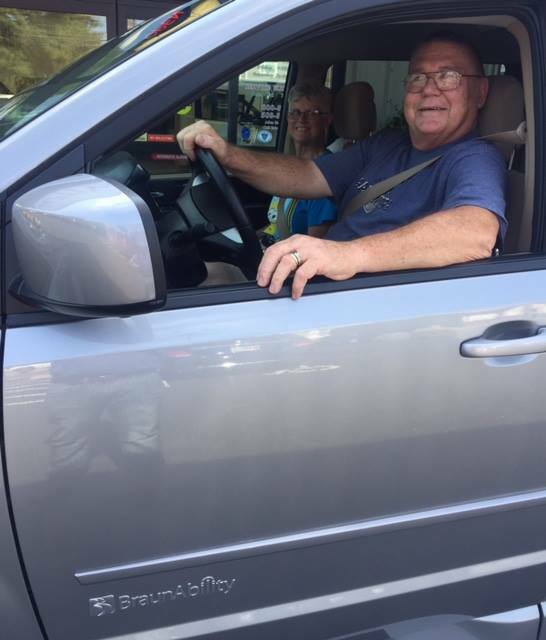 Ray and Eneida of Portsmouth, RI in their new 2016 BraunAbility Chrysler Town and Country. Our long standing partnership with Providence VA Medical Center and VA Boston Healthcare System enables us to get our veterans and their families the wheelchair van and equipment needed for them to maintain their independence. 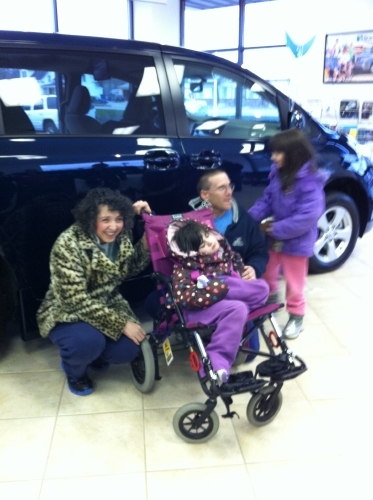 Ava and her wonderful family taking delivery of their new BraunAbility Honda Odyssey Wheelchair Van. The smile on her face is why we are in this business of helping people gain more freedom. In the photo with Ava are Amanda, Ann & Ed, Brian Kochanek and Brady. Our Amazing Customers from Martha's Vineyard! If you want quick and efficient service, our staff will definitely be your go to team! From start to finish we were able to get Ed and his wife Elizabeth into their wheelchair van in no time at all. Wishing you joy that's as lasting and true as the joy you bring others by just being you!" I just wanted both of you along with Brian, Erin, Jim & Jimmy (garage men) to know how much I am enjoying my 2016 Toyota van... It gives a nice smooth ride. Thank you! ..."
Genuine smiling faces always tells the story of a truly satisfied and happy customer. 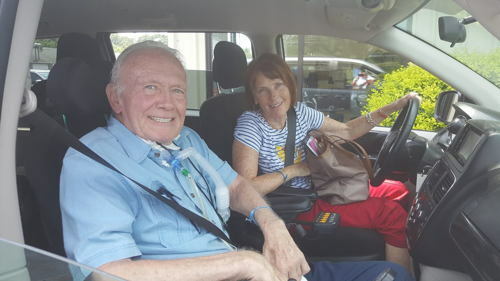 This is Harold and Jeanette of Needham, MA with their BraunAbility 2016 Toyota Sienna In-Floor Conversion Wheelchair Van. 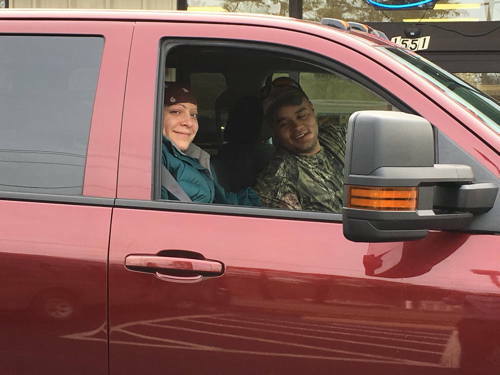 They had purchased their very first conversion van back when we were located in Somerset, MA and they always come back to us when they are ready to trade up! Rain or shine we always put a smile on our customers' faces. 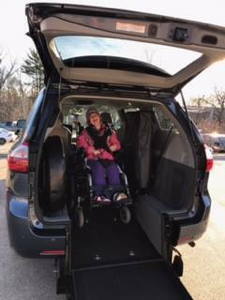 Maria and Jessica of Cranston, RI picked up their BraunAbility Wheelchair Van in April and were smiling ear-to-ear. 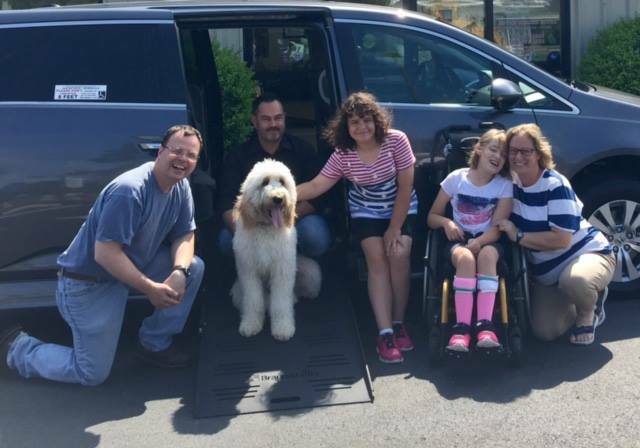 We were able to find a wheelchair van that suited their lifestyle as well as accommodated their big family without breaking the bank! 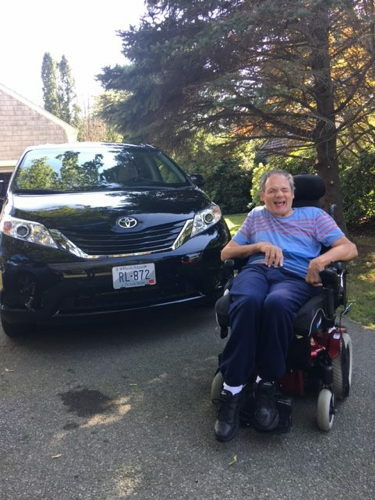 It was an amazing time working with Gary Balletto on getting him into his new Honda Odyssey BraunAbility Wheelchair Accessible Vehicle. Fully installed with state of the art equipment, and safety controls. Allowing Gary to get back behind the wheel! 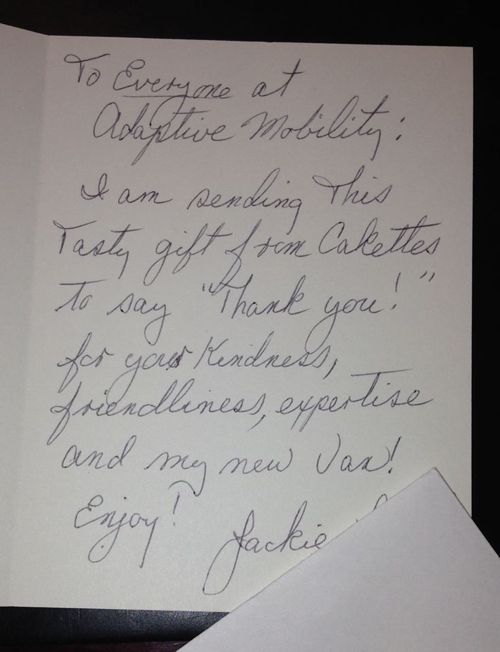 We are glad to welcome Gary to the Adaptive Mobility Family! 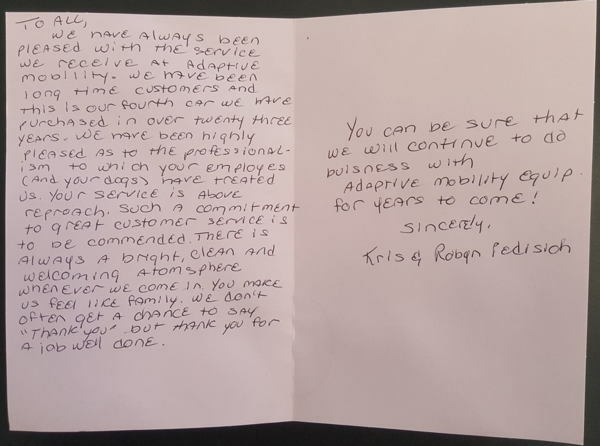 When you have customers driving all the way down from Vermont to Seekonk, MA for their Mobility Accessible Vehicle, you must be doing something right. Our customers Sara and her husband Abbott. 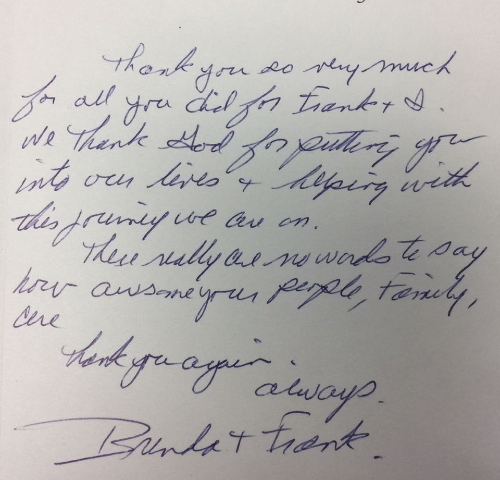 A Thank You from more Happy Customers! 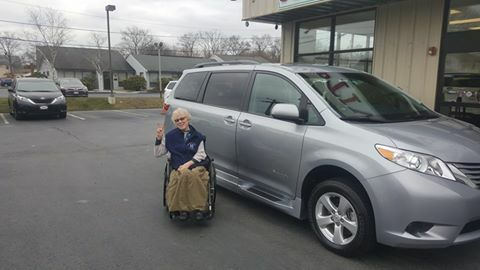 Nothing better to cheer up the Monday Blues than receiving a picture of one of our customers in their new 2016 Toyota Sienna LE Rear Entry BraunAbility Wheelchair Van. 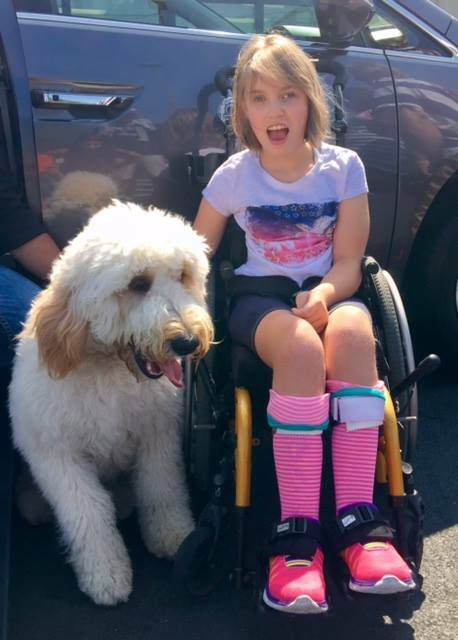 Sydni is all smiles while riding in style! Thank you to Cathy & Sydni for choosing us as their go-to BraunAbility Dealer! 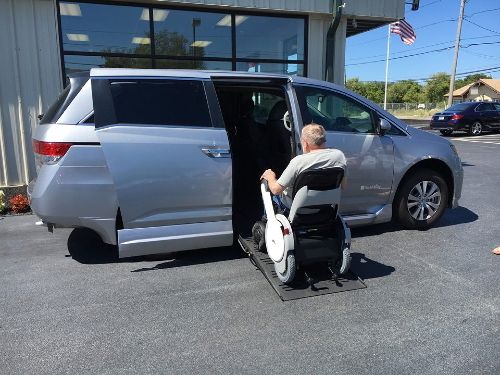 Our customer, Bob, purchased his 2016 Honda Odyssey BraunAbility Wheelchair Van only a few months ago and now Bob is also getting his new WHILL Model A Mobility Chair. A perfect pair! 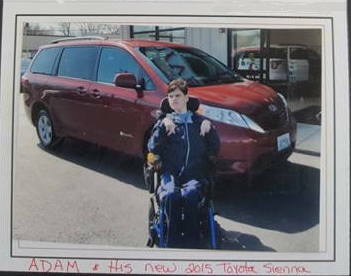 On behalf of our team at Adaptive Mobility Equipment, we wanted to say congrats to Van 4 Cam on getting his wheelchair van. 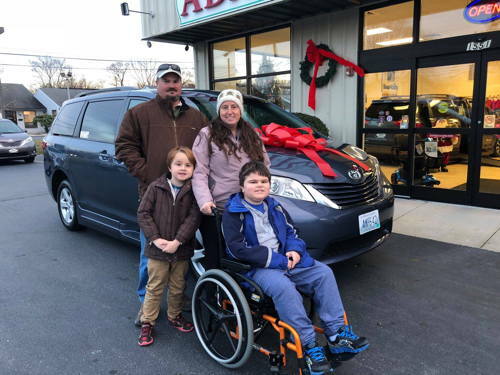 With support from our family at Adaptive Mobility and the community, we were able to get Cam into a new 2015 Honda Odyssey BraunAbility wheelchair van. 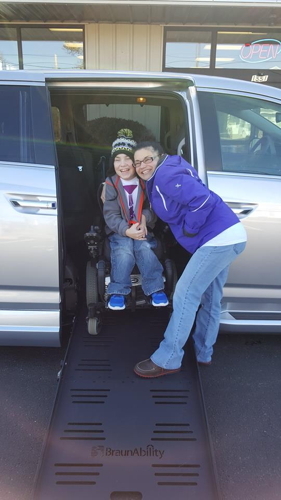 We wanted to invite our family and friends to wish Cam best of luck with his new wheelchair van and the awesome adventures he'll get to go on! 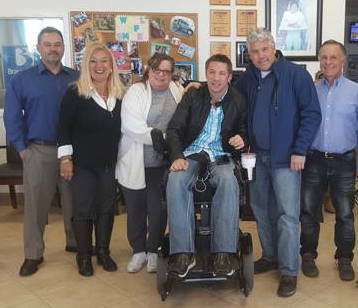 - Click here to view the Herald News article: "With help from friends, family and community, Cam Silva gets a new ride"
"I give Adaptive Mobility 5 stars!" 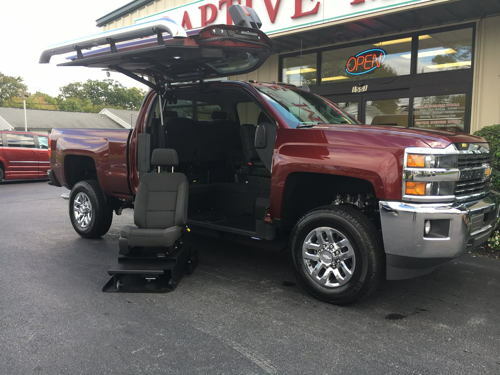 "They were the first place and the last place I went to looking for a ramp van for my wife. I fell in love with the first van Brian showed me and bought it. Extremely caring and low pressure sales approach by this family run business. I could go on and on about how pleased and satisfied I am with the Kochanek family. 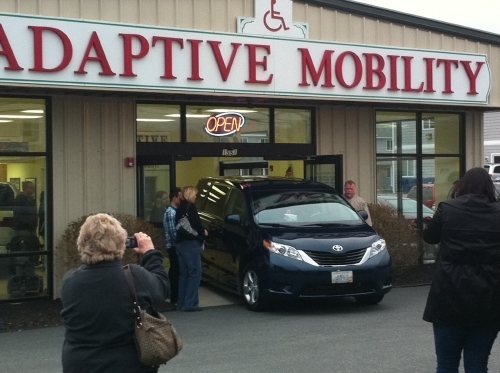 My hat is off to Adaptive Mobility!!" A Thank You from a Happy Customer! 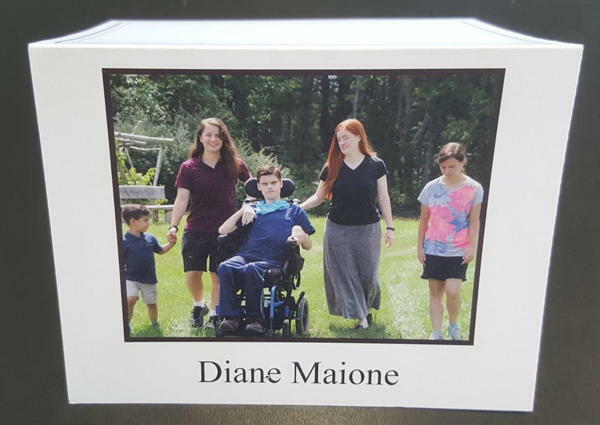 April 6, 2011 - Neighbors helped organize a campaign that raised enough money to purchase a 2011 Toyota Sienna Rampvan for the Angelone family to transport their daughter. "Great service, knowledgeable staff, excellent product selection. Just purchased second Pride scooter - The Traveler. It's awesome. Also have The Maxima. Talk about a scooter that can take a beating and keep on going. Love my scooter and so pleased to have found Adaptive Mobility !! Brian was so very helpful!!" "I am nothing but thrilled with AME Mobility, they were extremely kind, caring people who made it very easy for us. What is nice is the low pressure approach, this is a very big and expensive decision we had to make and Brian (who helped us) was very informative and took the time to show us 3 different vans. We could have looked at 10 vans he wouldn't have cared. We drove 2 hours to buy from AME even though there was a dealer 30min away just because of their exceptional service. I would highly recommend this family owned and operated business to anyone!"